Yikes. Clearly the business and customer are suffering from a process most take for granted. If your business model requires your prospects and customers to upload large amounts of information to you in a digital format, the best alternative may be to allow them to directly upload the files to your website. Most email and messaging systems put restrictions on the size of files they will accept and process directly. The FTP process is usually more complicated than most users want to deal with so direct uploads present the best alternative. 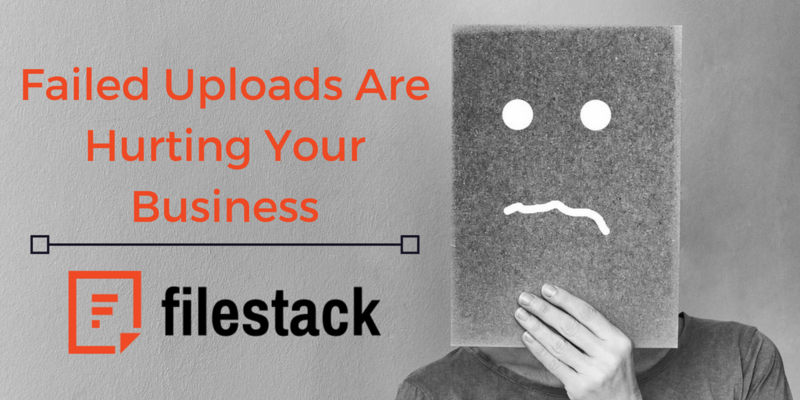 As the person in your organization responsible for allowing users to upload images, videos, audio and other data to your web site, you may be losing business opportunities every time an upload times out or fails. Think about what you do when you have trouble uploading something to a website you visit. If you are like most people, you give up and look for other alternatives. 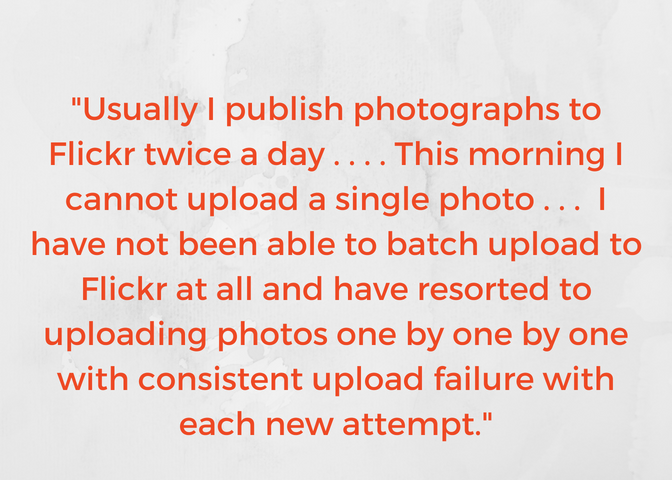 Uploads fail for any number of reasons, and the resulting negative user experience may come back to haunt you. Most often, uploads fail because people tend to “go it themselves” when trying to create the proper infrastructure. Mobile users can really complicate matters when they find themselves uploading with low bandwidth. Unless your systems are able to handle these delayed uploads, they will timeout. Again, users don’t care why there is a problem, they just know their upload failed. There is no going back after this negative experience. Building a reliable infrastructure capable of handling regular content ingestion, transformation and delivery for millions of files can be overwhelming. The pressure placed on your network and servers is difficult to gauge. Most environments are just not up to the task and have no way of reporting time outs and other failures. When you add the requirement to upload large images, audio and video transformations, AI/ML driven image recognition capabilities and analytics; the content ingestion and management task becomes nearly impossible. That is a lot of knowledge to have on your side. You could independently hire experts in these fields, or spend countless hours harvesting this information. The smart choice for your business is to partner with a company that has solved these problems. At Filestack, we faced these problems head on many years ago and developed an API targeted mainly at developers. It encompassed all of the various components needed for file uploads that typically must be built from scratch. The primary value of the initial Filestack API was a direct plug in that could be called with almost no coding required. Since then, we have created an even more extensive set of developer tools that support user content through the entire journey from creation to uploading to transforming to delivering. We also leverage machine learning technologies for basic image tagging, categorizing and then create custom machine learning models designed to fit the needs of our customers. If you want to give yourself peace of mind and improve your business in the process, Filestack is the smart choice. Please reach out directly with an inquiry or leave your questions in the comment section.